Many guitar players never learn 'exotic' scales because they think they are not interested in their sound, or that they should learn the 'normal' scales first. Today we see a scale that can be used (or misused?) to sound like Blues... but can also sound exotic and middle-eastern. 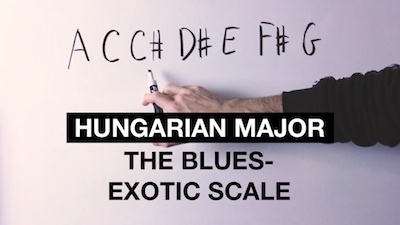 Welcome to the Hungarian Major scale, a scale that you will not regret learning whatever style you play. Also, you should check this course about scales and modes on guitar just because, honestly, it's awesome.